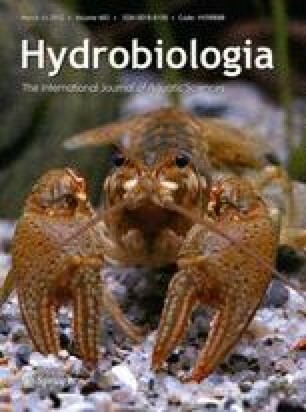 Habitat-related differences in recruitment and early survival of the invasive seaweed Sargassum muticum were investigated in relation to the lunar phase (gamete release trigger) and meso-grazing between mid-intertidal and low-intertidal pools in northern Portugal. In situ experiments were performed to determine recruitment and to test the effect of intertidal level (mid-intertidal and low-intertidal pools), grazing (no cage, cage and open cage), and lunar phase (full, new and each quarter moon) on recruit survival during reproductive seasons in two consecutive years. Our results show clearly that recruitment and survival were higher in the mid-intertidal than in low-intertidal environment in both study periods. Caging treatments affected recruit survival in both environments, however, differences in patterns suggesting differences in grazing pressure due to differences in grazer density and/or the assemblages. It therefore seems that grazing on early recruits of this invader might contribute to the resistance to proliferation. Mid-intertidal pools constitute a more favourable environment for recruits of S. muticum than the low-intertidal, which may explain the mainly mid-intertidal distribution of the species in Portugal. We are thankful to the ‘Associação dos Amigos do Mar’ in Viana do Castelo, for supporting us during the entire sample period and K. Sjøtun for helpful comments and J. Howard for help in reviewing this manuscript. This study was supported by the projects ‘ALIENS—ALgal Introductions to EuropeaN Shores’, EVK3-2001-0008 and ‘The invasive theory of the pest seaweed Sargassum muticum in Southern Portugal’, POCTI/MAR/55377/2004. A.H. Engelen was supported by scholarship SFRH/BPD/7153/2001 and SFRH/BPD/63703/2009 of the Portuguese Science Foundation (FCT).